Want to check availability or book your party? Click here for ONLINE BOOKING! Glitz & Glam offers in home spa parties for girls! We give our clients the convenience to host their spa party at the location of their choice (home, hotel, community centers, you name it we'll make it happen!). Girls that participate in our spa parties enjoy a custom pampered experience which leaves them walking away feeling happy and self confident, ready to put their best foot forward. We are based out of Washington, D.C. proudly servicing Maryland, DC and Virginia. A spa party booked with Glitz & Glam may include nail painting, foot soak with bath bomb and toenail painting, DIY custom lip balm (hypoallergenic), make-up application, glitter tattoo application, a honey & yogurt or chocolate facial, and a signature take home 4x6 photo. Our spa parties can be tailored to fit your desires and we gladly accommodate large groups. As we conduct Glitz & Glam spa parties, we play kid friendly music from popular artists, shows and movies. Never Miss Out on Special Offers, Sign up to stay in touch! ​"They loved it, thanks for a job well done! 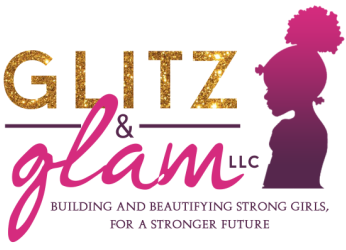 ​"Glitz & Glam is giving girls the opportunity to have a spa-like and red carpet experience, catered just for them (and made affordable for the parent). What girl would pass up the opportunity to be pampered? Book them now, you won't be disappointed!" "The girls had a great time and insisted on wearing the lip gloss at dinner!" ​Glitz & Glam proudly serves DC, Maryland & Virginia, operating within 60 miles of the zip code 20032. ​Speak with someone from our team NOW!